One Shoe is represented again this year at Emerce eDay. 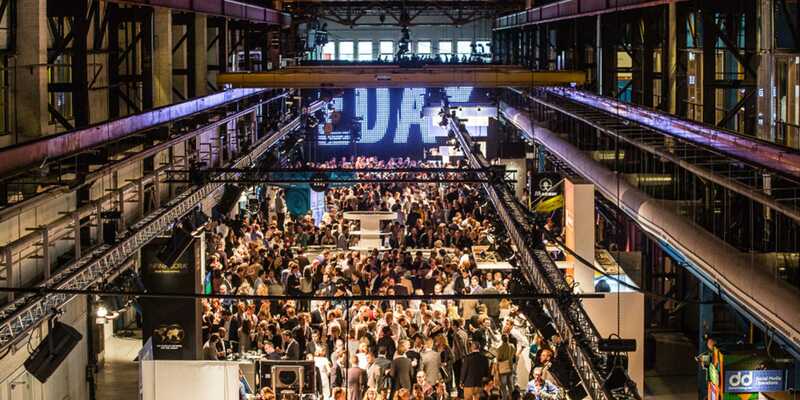 Emerce eDay is the largest e-business, marketing and media event of the year "where innovation, digital, and great minds converge." Emerce eDay is designed to be the one day a year that keeps you ahead of the game for the next 364, eDay is an event that weeds through the small stuff and gets you to where you need to be to stay ahead. Delivered in diverse formats, eDay attendees are treated to the freshest content from global thought leaders on new business, strategies, case studies, concepts and technologies, plus access to a day with the vanguard of tomorrow’s digital world. At the heart of a seamless brand experience is the interaction between a brand and its customers. Touchpoints are the branding opportunities and chances to build a cohesive brand. A brand your customers connect with. That is to say, if you can architect the desired customer experience. 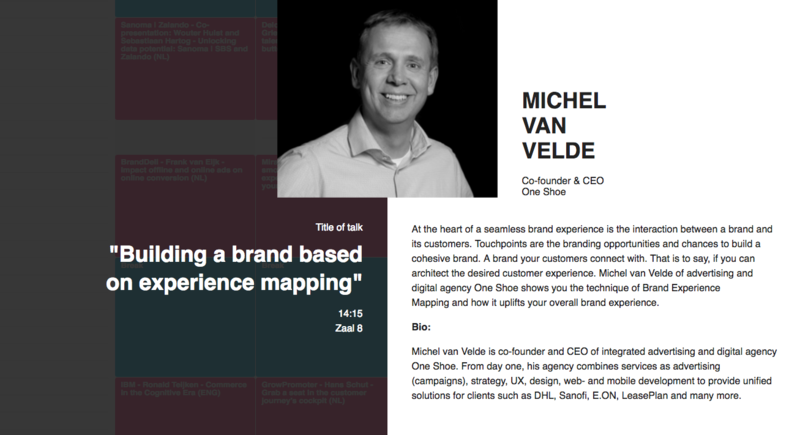 Michel van Velde of advertising and digital agency One Shoe shows you the technique of Brand Experience Mapping and how it uplifts your overall brand experience. Michel van Velde is co-founder and CEO of integrated advertising and digital agency One Shoe. From day one, his agency combines services as advertising (campaigns), strategy, UX, design, web- and mobile development to provide unified solutions for clients such as DHL, Sanofi, E.ON, LeasePlan and many more. One Shoe is an integrated advertising and digital agency located in the city centre of Utrecht, The Netherlands. With more than 40 specialists we help brands and organizations reach their audiences and targets in both the online and offline world.